The summer holidays are nearly over, the first day of term is looming and Tracy’s thoughts are turning to getting ready to go back to school. Here are her tips. 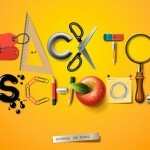 Wow … the start of the new school year is nearly upon us! Where did the summer go? Many of us are now turning our attention to getting our kids ready for the new term. It’s so easy over the summer months to let our routines slip just a little bit: Bedtimes get later, more goodies appear in our cupboards rather than fresh fruit and veggies. Holiday homework gets left until the last few days, leaving everyone open to getting a bit stressed as the first day back approaches. Here are a few of things I will be focussing on before the beginning of September. The school summer months are a family’s holiday from the normal day-to-day routine. Bedtimes go out of the window, breakfast gets later and more continental (the naughty croissants make an appearance). The calendar is filled, not with parents’ evenings and after school activities but family days out, picnics, ice creams and all sorts of holiday loveliness. We all relax into a new temporary ‘routine’. Then, as the new school year approaches, our shopping trollies start looking more colourful with fresh fruits and vegetables, so we can all start our ‘first days’ full of energy, wide awake and eager to go. And we re-introduce ‘bedtime’ – one of my boys is moving into year 7 and, although I know he’ll need more sleep not less, I am already expecting him to argue that now he’s at secondary school he can go to bed later. A week or so before the beginning of term, we dig out last year’s school uniform, only to find out that during all the summer holiday fun … they’ve grown and nothing fits any more!!! So, we spend a lot of time getting the right things to wear – we get uniforms the next size up so they might just last that little bit longer. Then there’s the shoes, we like to have their feet measured so they have the best fit and most comfortable shoes for long school days but buying shoes is always a nightmare! Everyone leaves it to the last minute so the queues are always horrendous; full of kids who don’t want to be there. It only takes one child to play up for our boys to get unsettled as well. This year we’ll do the shoe shopping at Cheshire Oaks – with four pairs to buy, we can save up as much as £70. Then we will all go to the zoo for one last summer holiday fling. Then there’s the all the other stuff: our son is nervous about moving up to big school so I want to make sure that everything is perfect for him so he has one less thing to worry about. For him, this means a special trip to buy exactly the right pencil case and stock it with the latest trend in pens and pencils. Choosing the correct bag is extremely important, especially for the bigger kids who carry their bags for a lot of the day – to and from school as well as moving between classes. It can be heavy with all those books, PE kit and packed lunch so it’s crucial to get the right one and pack it correctly. However, when taking out children to buy the new school bag, the pressure to buy the latest style or colour is a big factor. No child wants to take an ‘uncool’ bag to school. As a parent or guardian it is up to us to find the happy medium between fashionable, practical and affordable. Everybody needs a break at the start of the holidays, so homework is put on the back burner for a while. We allow ourselves to relax into holiday mode, full of good intentions to not leave homework to the last minute, then suddenly it’s the last week of the holidays and it’s not been started. One of my boy’s homework is to write a diary of what he did in the holidays – that’s not just pressure for him, but for me too – I have to make sure he’s done enough fun and interesting things to ensure he has something cool to write about! Holiday rules about healthy food are more relaxed but, come the end of August, we need to reintroduce the idea of more fruit and veg, and less ice cream and fish and chips. I find that my boys are more likely to eat food they’ve chosen themselves so we go shopping together and I let them share the decisions about what to buy. One problem I anticipate is that, at secondary school, the kids have a charge card for school dinners. My son is very excited about using this and is already planning all the pizza, chips and burgers he’s going to have for lunch. Now, I know this isn’t healthy but he’s so worried about his move up to big school, and so excited about school dinners, that I plan to let him enjoy it for a little while before having a talk about making healthy food choices. All four of my boys came into the practice last week for an end of holiday adjustment to make sure they are all in great shape for starting back at school. My final plan is to make sure the holidays go out with a bang by having a couple of non-stress family days out. There is a lot to think about and do in the last week of the holidays but it’s important to make the most of the last few days as well. The key is to find the balance, making sure this last week of freedom is both productive and fun. I hope you’ve enjoyed reading about my plans for the last week of the holidays and that just maybe, I’ve given you some ideas. I’d love to know what you think, and what your plans, tips and strategies are – let me know using the comments box below.